Visit the British Virgin Islands display during the Toronto International Boat Show and enter to win a 7 day/6 night luxury bareboat vacation aboard a MarineMax 382 Power Catamaran or a MarineMax 433 sailing monohull plus two coach class airline tickets from Eastern Canada. Prize is valid for travel April 15th – December 15th, 2013 & January 16th- January 31st, 2014. Prize is subject to certain restrictions and holiday (Christmas, New Years, Thanksgiving and Easter) blackout dates apply. Winner must qualify to captain the boat him/herself. If the winner is not qualified to captain, a licensed captain from MarineMax can be hired. JAS Marine Service in Lake Park, Fla. 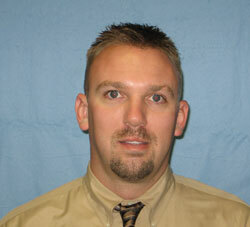 Journey Auto Sales in Berea, Ken. The International Council of Marine Industry Associations - ICOMIA - has signed a long-term agreement to support the International Boat Show and Festival - a new four-day boat show commencing 17 October 2013 at the Serenity Marina, Sanya, Hainan Island in China. The show will focus on mid-range boats (10 - 15 meters) afloat and small craft ashore for watersport promotion. The International Boat Show and Festival is organised with the assistance of the Beijing based China Cruise and Yacht Industry Association (CCYIA), a full Member of ICOMIA. 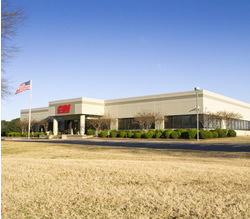 CDI Electronics has announced that it has recently relocated to a new facility located at 353 James Record Road SW, Huntsville, AL 35824. This move comes 30 years after the company was founded and five years after the current owners took the reins of the company. The move will accommodate growth and enable the company to continue to maintain superior customer service to its continually expanding customer base. 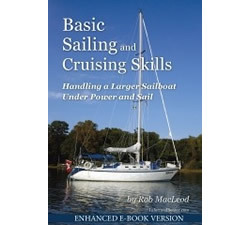 Rob MacLeod’s learn-to-sail book, Basic Sailing and Cruising Skills, was the go-to book in the late 80’s and 90’s. The book introduced 1000s to the joy of sailing and for many, launched a life long passion for the sport of sailing. It has been 28 years since Rob first wrote and released Basic Sailing and Cruising Skills while still a sailing instructor in Hamilton, Ontario. And now he is back with a new and significantly updated book. Through his company, InformedBoater.com Ltd., Rob is releasing 2 versions of the revised Basic Sailing and Cruising Skills: Handling a Larger Sailboat under Power and Sail – an enhanced electronic publication (ePub or eBook) and a print version. 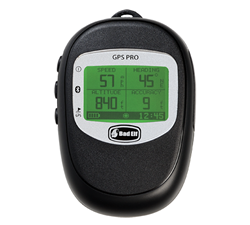 At the 2013 Consumer Electronics Show in Las Vegas, Nevada this past week, the Bad Elf® GPS Pro (BE-GPS-2200) Direct Satellite GPS was named the Best GPS Device in the TechRadar Best of CES 2013 Awards presented by DTS. MarsKeel Technology™ is excited to announce that our International Sales Representative, Willem Vraets at the boot Düsseldorf show. Willem will be in attendance on Friday January 25th to provide information on how MarsKeel Technology™ can produce quality Lead Keels for production manufacturers and custom builders worldwide. If you would like to Willem to visit your booth or arrange a meeting please see his contact details below. The boot Düsseldorf show is a leading trade fair of nautical business that sees an average attendance of 250,000 visitors from around the world. PUT SOME SUMMER IN YOUR WINTER AT THE TORONTO BOAT SHOW! Canadian Yachting is a proud participant in the 55th Toronto International Boat Show beginning January 12th, 2013. Canada’s premiere boat show is the best place to see and buy the latest in boats and boating-related accessories and services. The Toronto Boat Show’s Special Preview Night on January 11th showcases a united industry working together to help others in need. Over the course of 11 years it has raised more than $585,000 for initiatives that are close to the hearts of the boating community. In 2012 it raised $24,615 for childrens’ charities and, in celebration of the London 2012 Olympic Games, for Canada’s Boating Olympic Athletes! This is to inform you that the NMMA Canada's State of the Recreational Boating Industry Session on Tuesday January 15th, 2013 at the Toronto International Boat Show is now officially Sold Out. 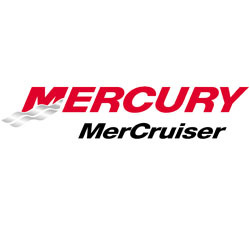 The event is sponsored by GE Capital and Boating Industry Canada magazine. 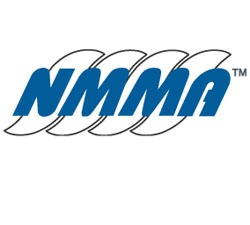 Presentations will include valuable market research insights from both NMMA and GE Capital, as well as a Discover Boating presentation and the induction of the NMMA Boating Hall of Fame recipient. ASA Electronics, an international manufacturer and supplier of marine audio and video electronics and appliances is pleased to announce the appointment of Matt Wood as the Marine and Spa National Sales Manager.